The Beatles Song of the Day is I Me Mine. I Me Mine was written by George Harrison and appears on the Let It Be album. This was the last track recorded by The Beatles. 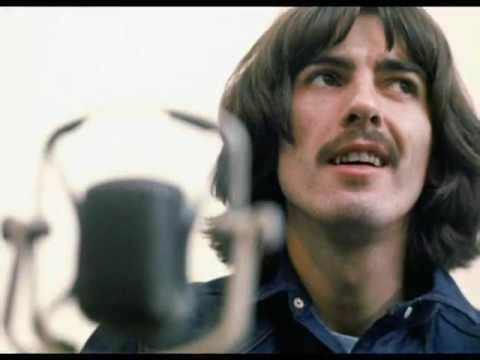 The song was inspired by George’s LSD experiences and a revelation of selflessness that came from that. George said “I Me Mine is an ego problem. After experiencing LSD I looked around and everything I could see was relative to my ego. “that’s my piece of paper” and “that is my flannel” or ‘give it to me” or “I am” I hated everything about my ego -it was a flash of everything false and impermanent which I disliked.” John was out of the country when the song was recorded and didn’t appear on it. George based the music on a song he saw performed on televison by an Austrian marching band. George named his autobiography : I Me Mine. George Harrison: vocal, harmony vocal, acoustic guitars: Paul McCartney: harmony vocal, bass, organ, electric piano: Ringo Starr: drums: Uncredited: 18 violins, 4 violas, 4 cellos, 1 harp, 3 trumpets, 3 trombones. Produced by Phil Spector. I Me Mine was never released as a single. recorded January 3 and April 1, 1970.
critic Bill Wyman ranked I Me Mine #99 out of 213 Beatles songs. It didn’t make any of the other lists Top 100.